Anderson School District Three releases recent achievements as well as an updated list of current district-wide initiatives. 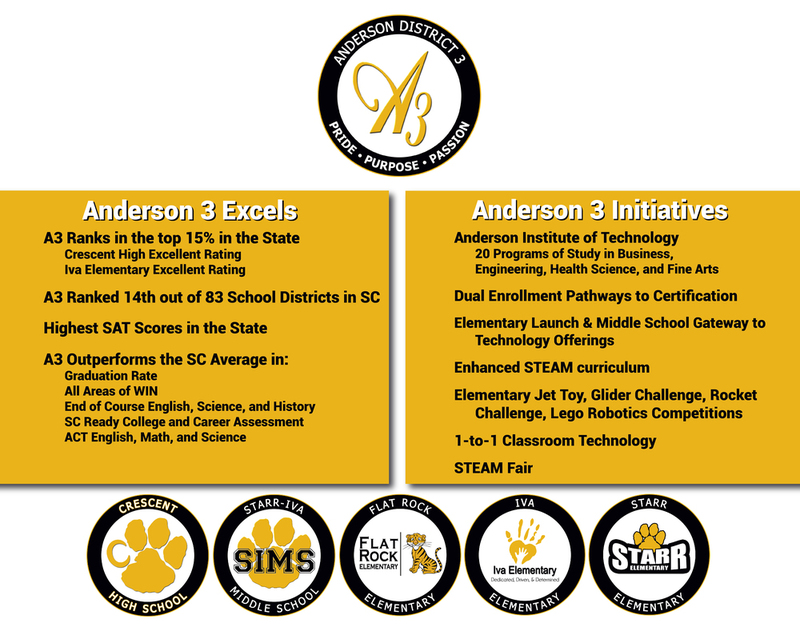 Anderson 3 now ranks in the top 15% in the state with two schools rated excellent. A3 also currently holds the highest SAT scores in the state, as well as outperforming the SC average in several areas. Currently, the Anderson Institute of Technology tops the initiatives as a collaboration between districts 3,4, & 5. 1-to-1 Classroom Technology also is an initiative in order to further advance curriculum and drive A3 into the future of education.